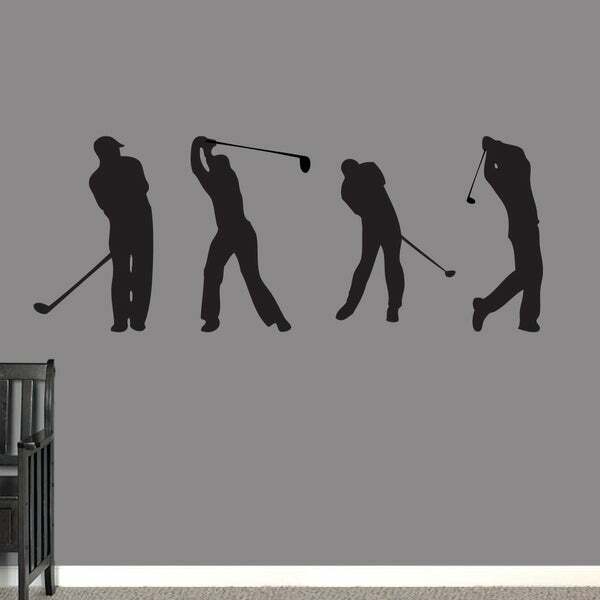 It's all about sports with this Golf Guys Wall Decal Set. These four golf guys are perfect for a sports lover's room or man cave. Show these golfers at each stage of a swing. Pick the size and color you would like for your wall decals pack. This wall decal measures tip to tip and can be applied to any smooth surface.